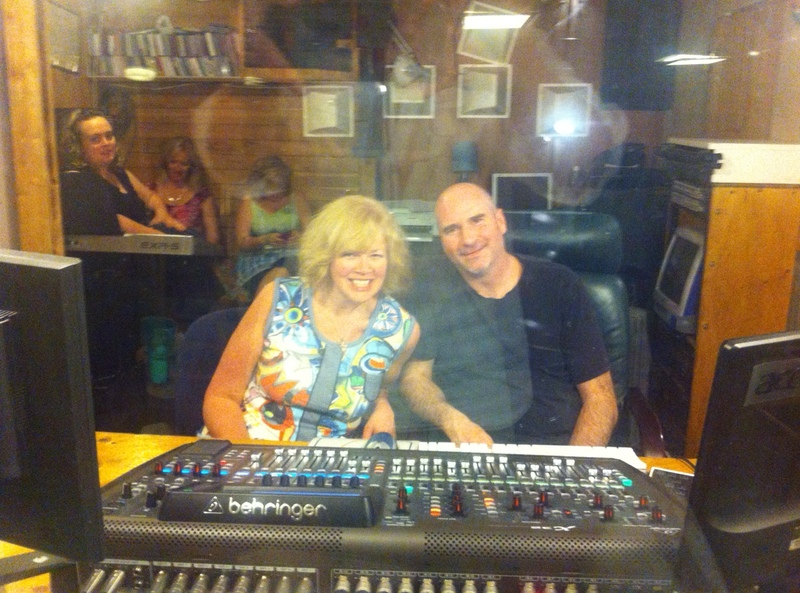 What a complete joy it is to create music with the help of talented artists….especially in my VERY OWN FAMILY! Last night my 3 sisters, Paula, Pamela and Mary along with my cousin , Lindsay joined me in a studio here in sunny( read : humid) WIndsor to sing beautiful back up harmonies for one of my songs . ( I only wish we had many many more days here to record more but time is fleeting here with visits to beloved family and old friends) . Lindsay played digital violins/strings and made 5 songs rise above the ordinary. I can’t wait for you to hear my new 14 song C.D.. I ‘HOPE’ you will enjoy it!